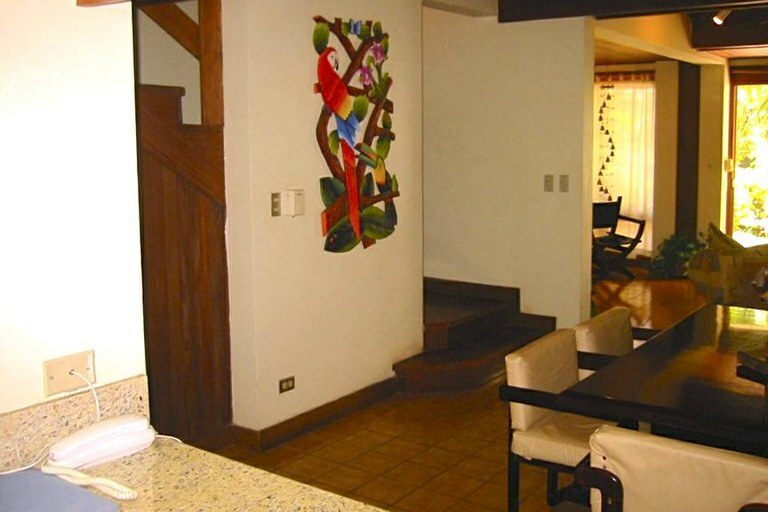 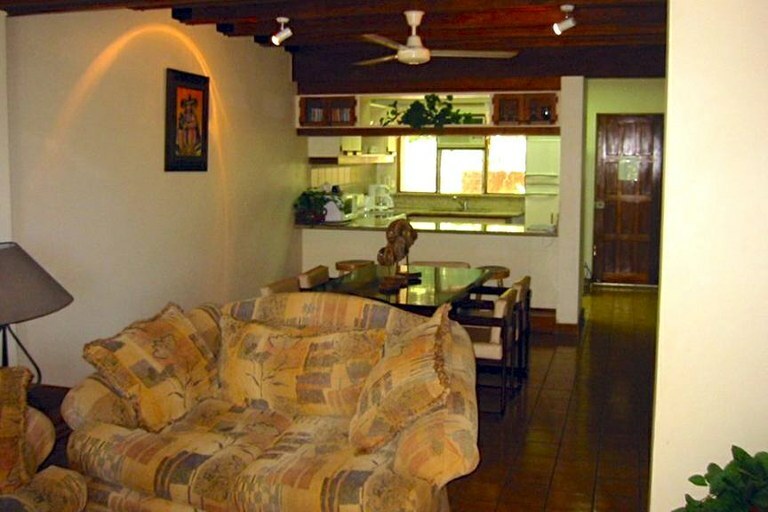 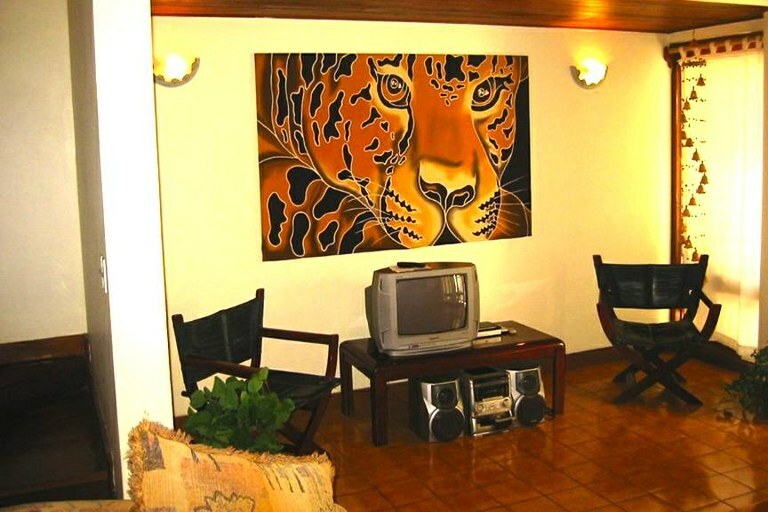 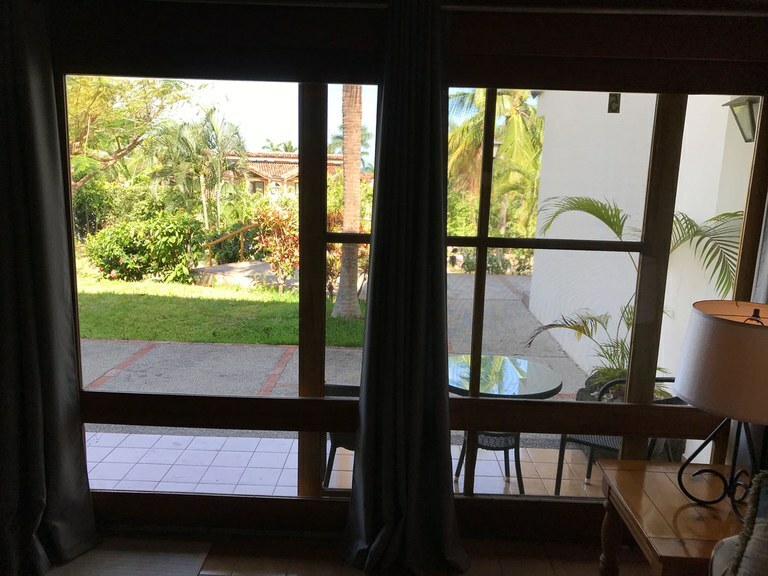 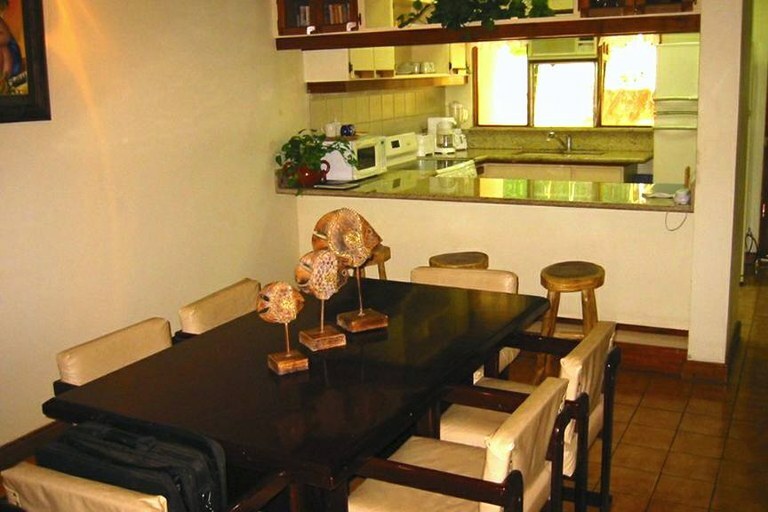 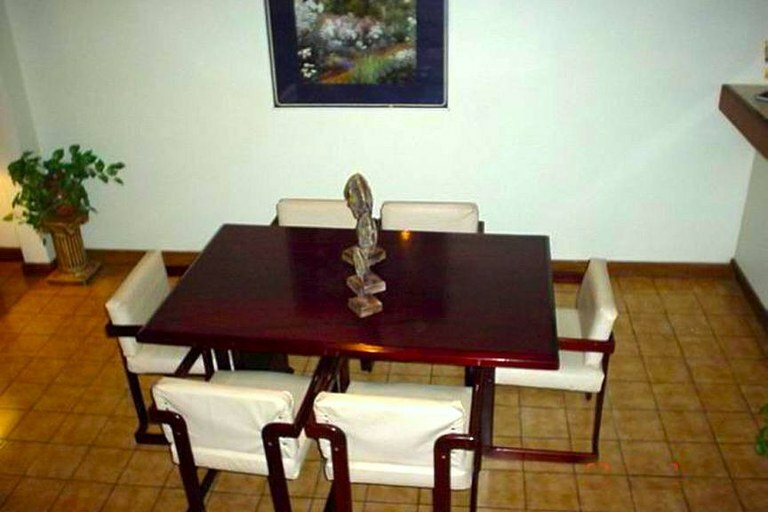 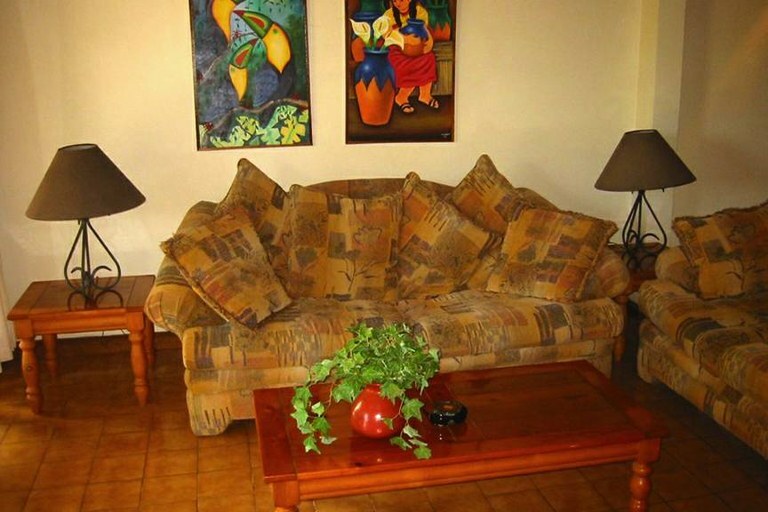 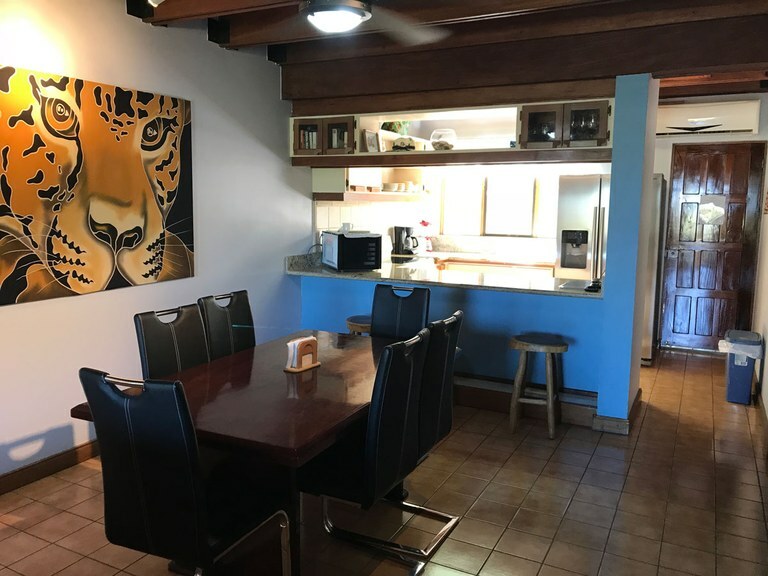 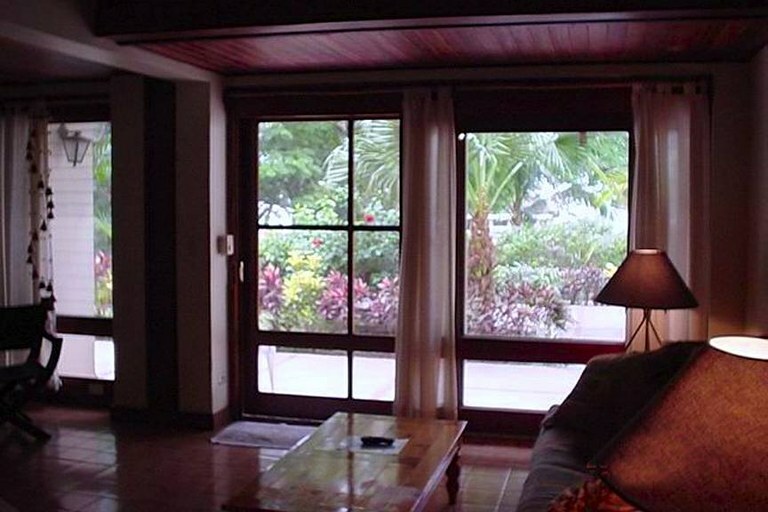 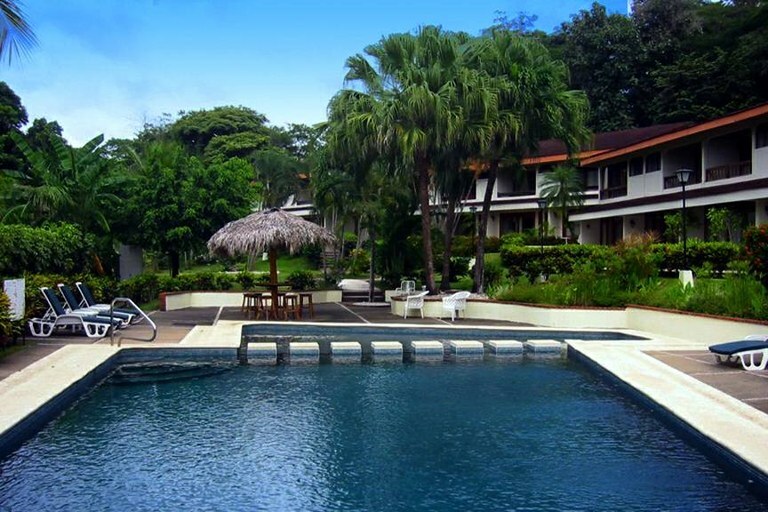 This 2-story townhouse style condo is fully equipped and ready to accommodate up to 6 people in comfort during your holiday in Costa Rica. 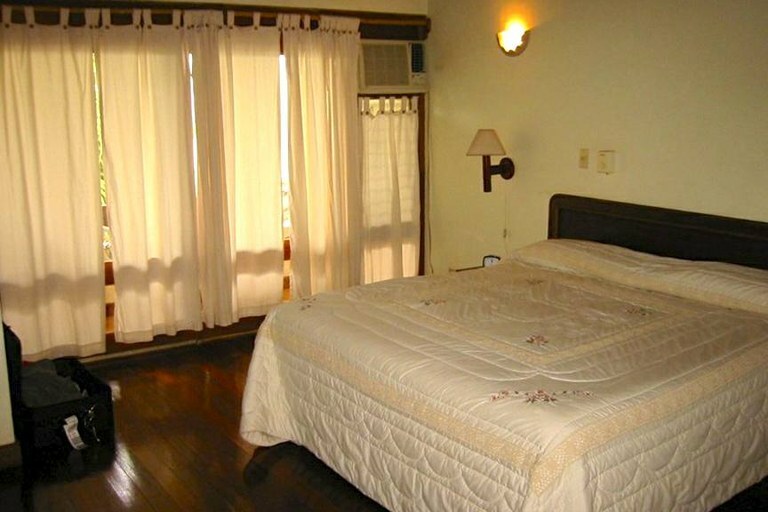 Upstairs the villa has two bedrooms, each with a king size bed and a private bath. 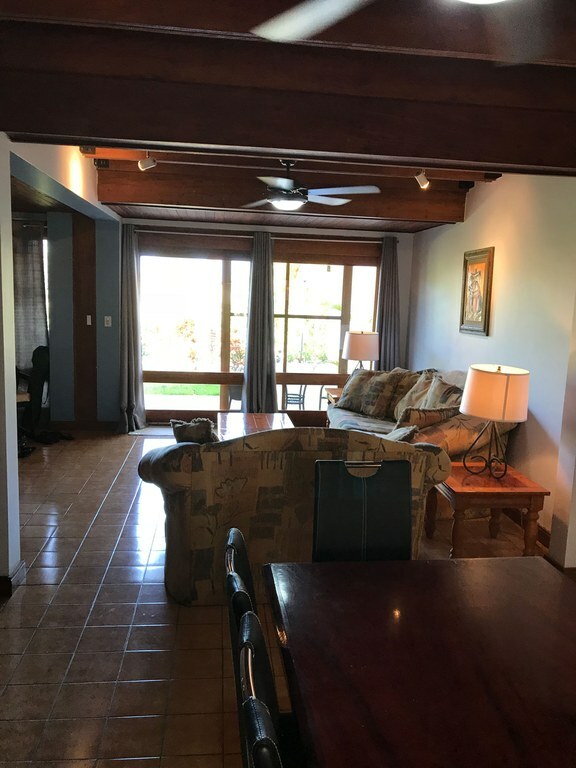 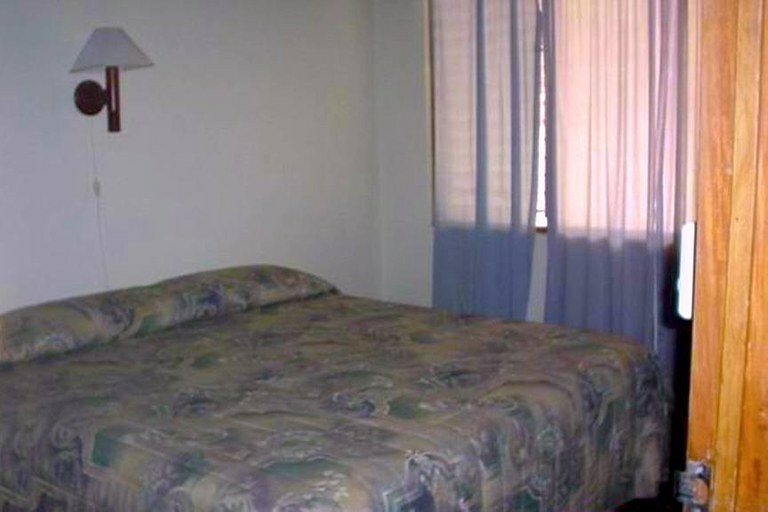 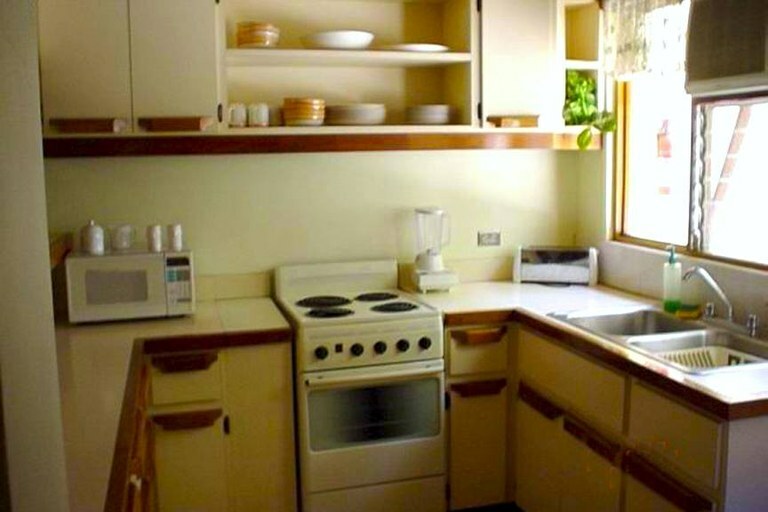 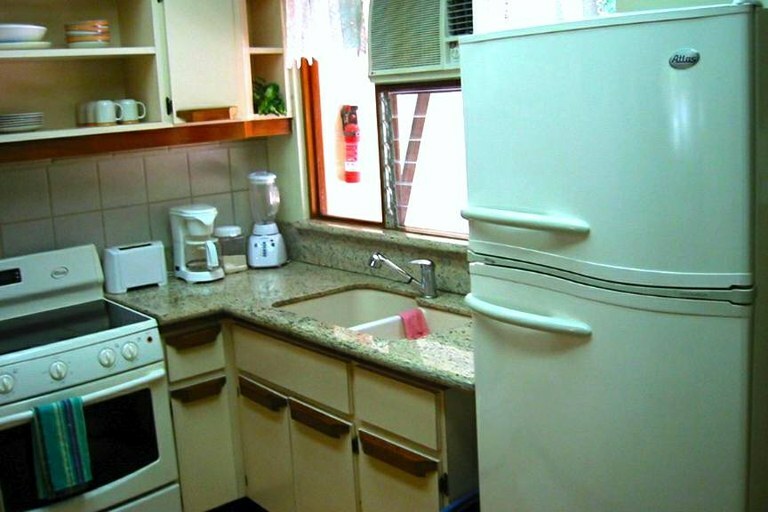 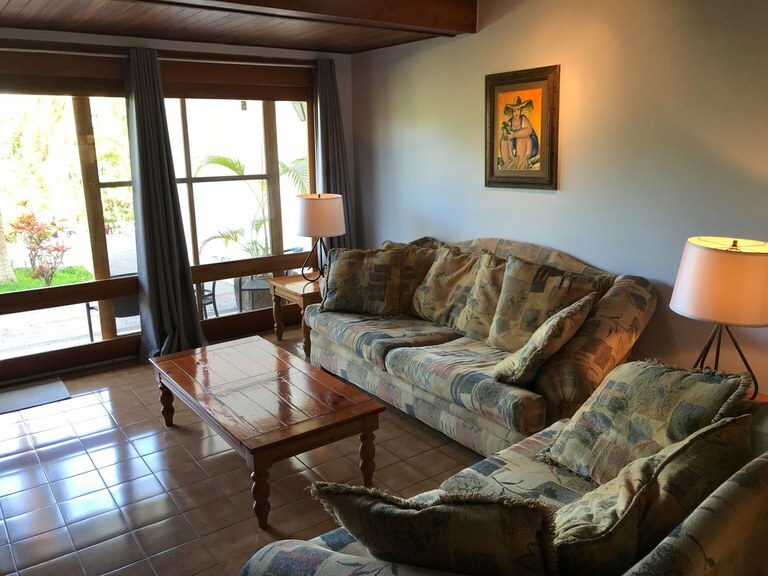 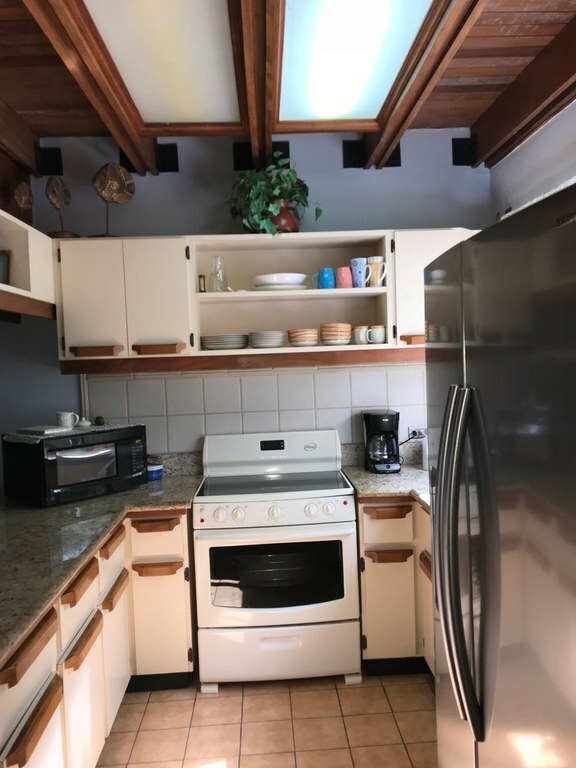 Downstairs the couch opens into a queen size sleeper and there is another full bath, a fully equipped kitchen with new appliances and granite counter tops, a dining table for 6, cable TV and air-conditioning. 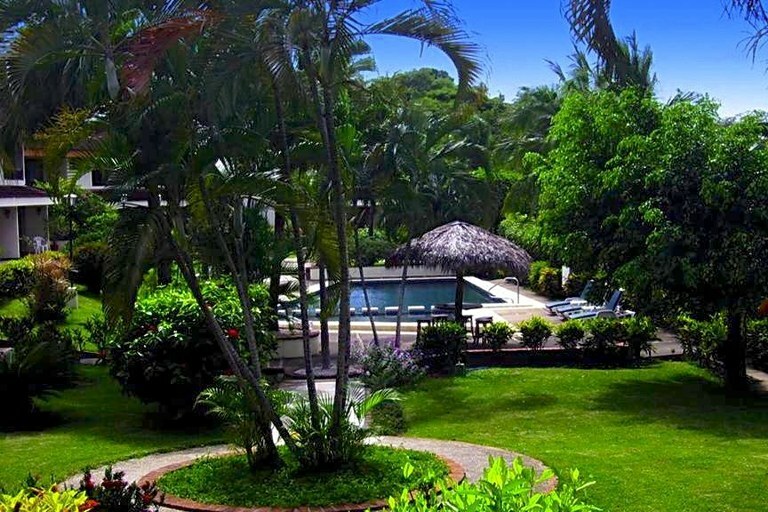 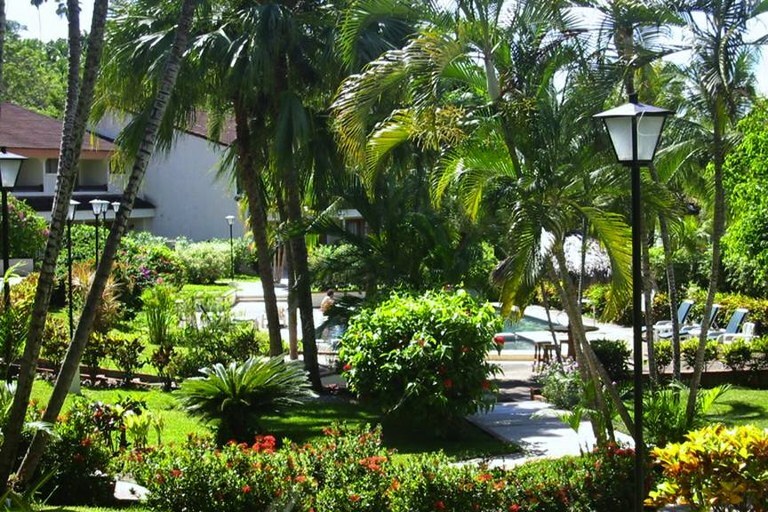 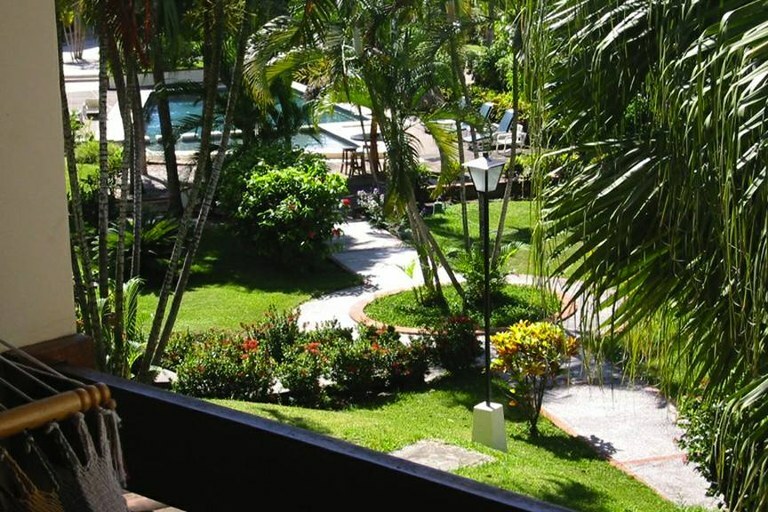 The common area has beautifully landscaped tropical gardens and a large shared swimming pool with a separate shallow end for children and a deeper end for adults.